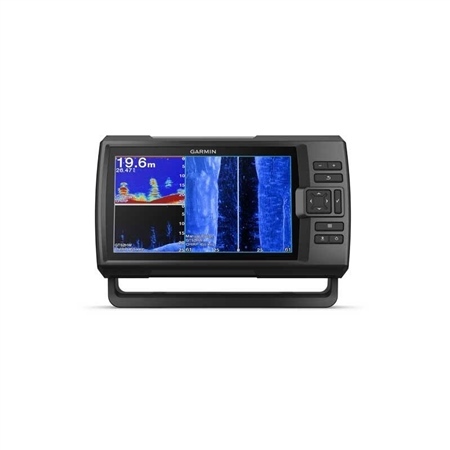 The STRIKER Plus 9sv fishfinder with a bright 9-inch display and built-in GPS features Quickdraw Contours map drawing software, which stores up to 2 million acres of content with 1-foot contours. Garmin CHIRP traditional sonar provides crystal-clear images with remarkable target separation. Get nearly photographic images of what passes below and beside your boat with CHIRP ClearVu and CHIRP SideVu scanning sonars. Use built-in Wi-Fi to pair with the ActiveCaptain app for smart notifications, access to Quickdraw Contours Community data and more.